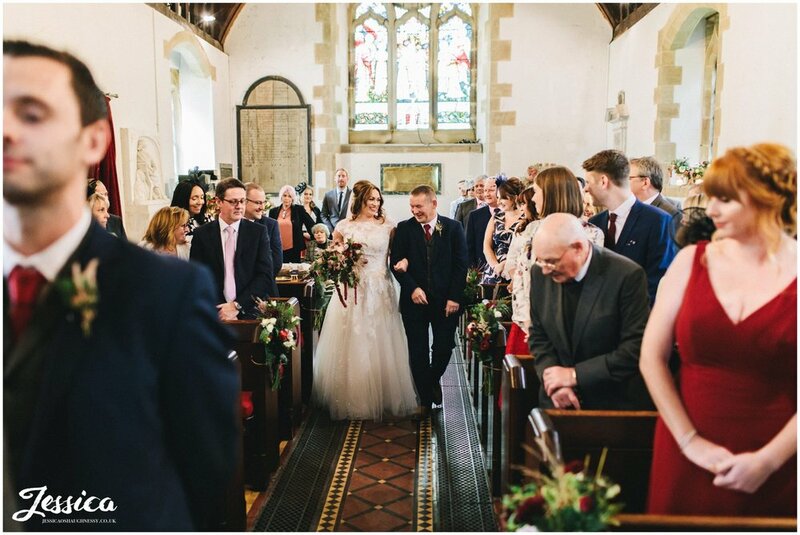 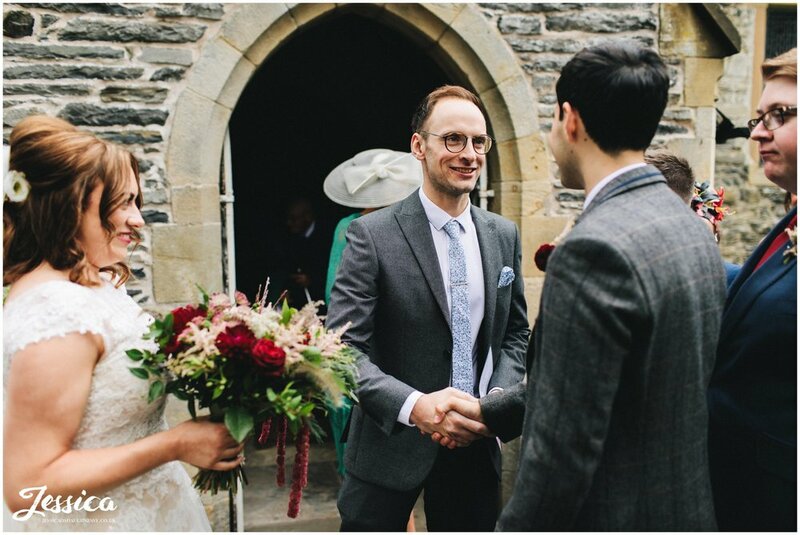 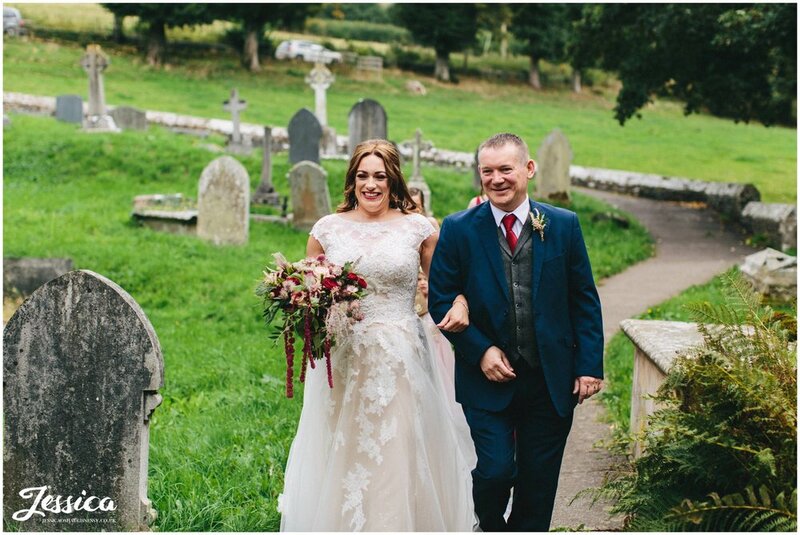 Katie & Dave chose to the tie the knot at the quaint little church in Llantysilio, North Wales. 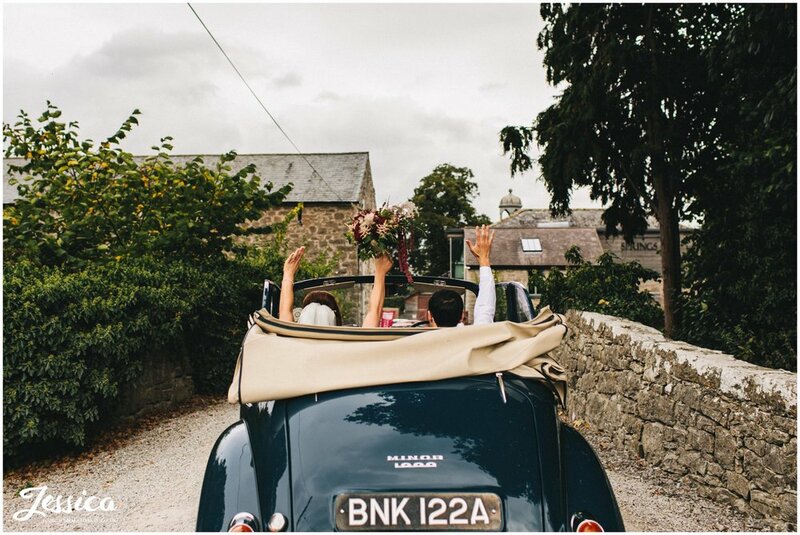 Katie arrived in style in a tiny vintage wedding car, adorned with flowers & driven by her father. 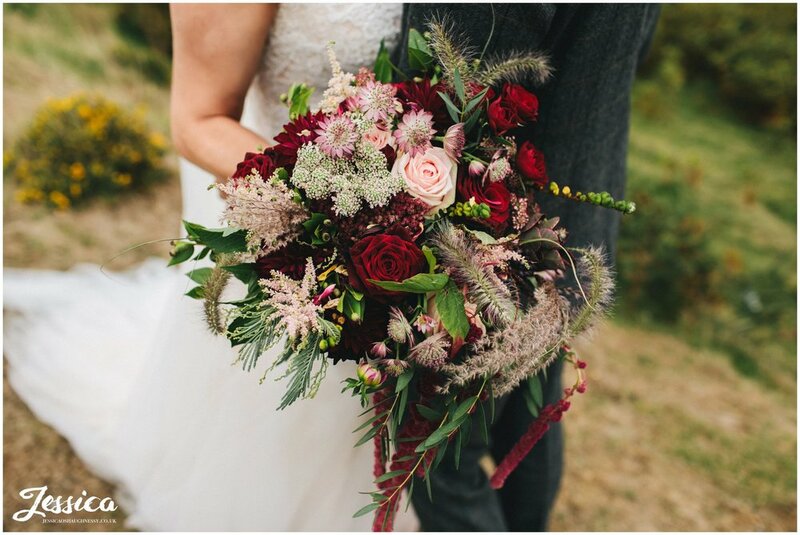 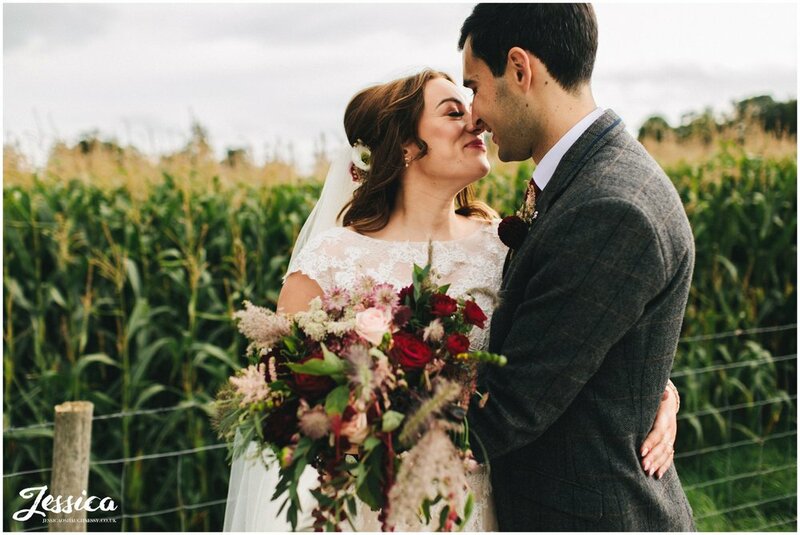 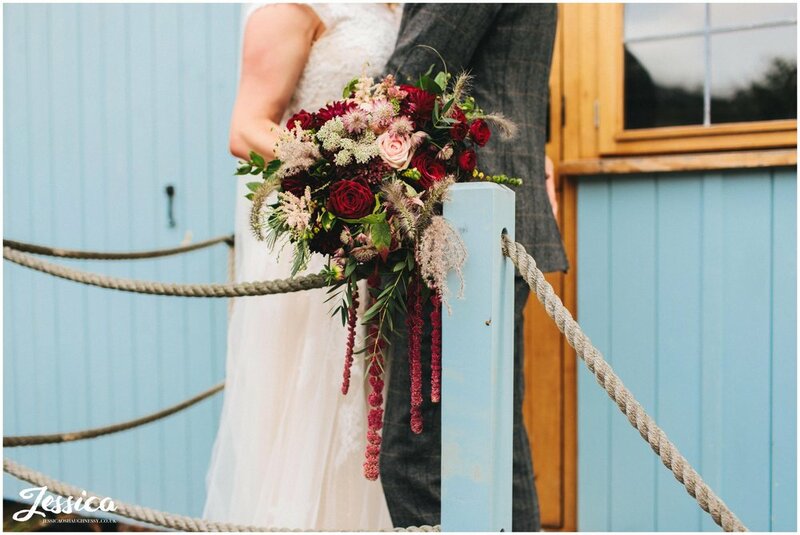 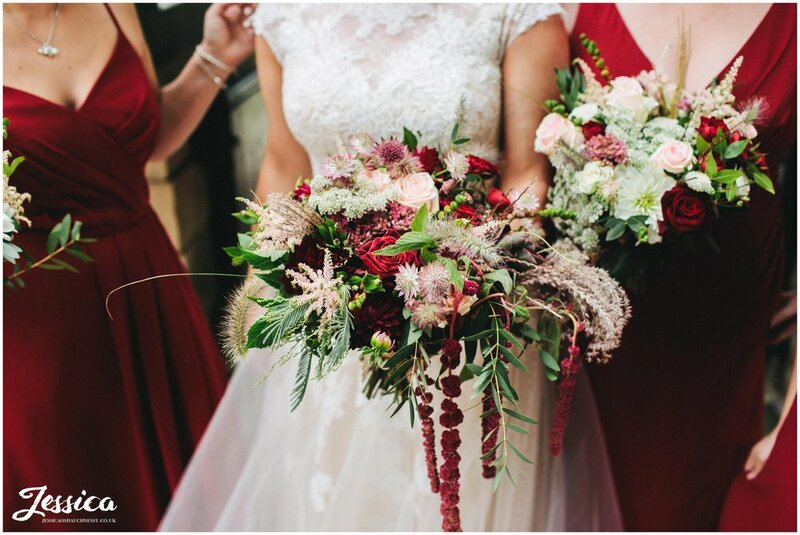 She looked absolutely amazing with a huge smile, red lipstick & beautiful rustic bouquet. 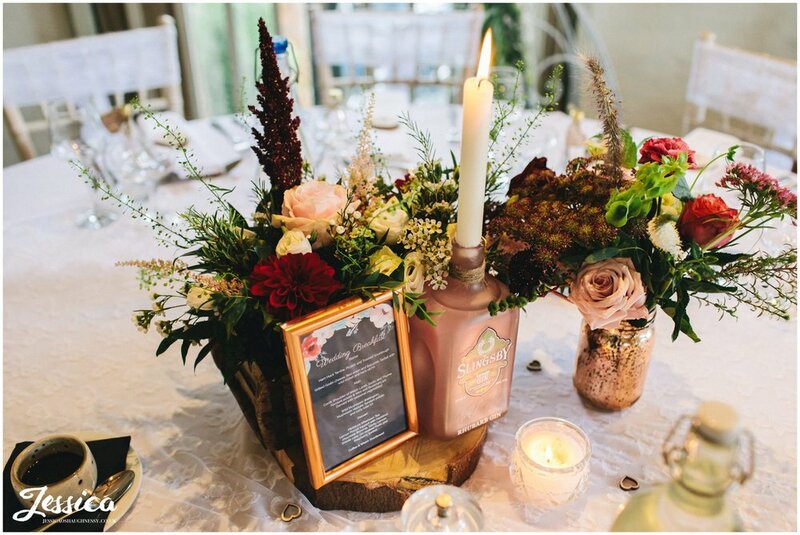 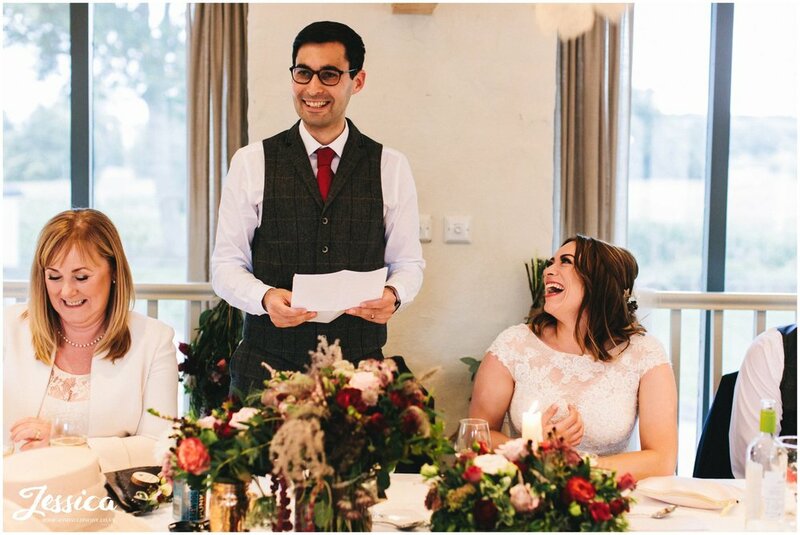 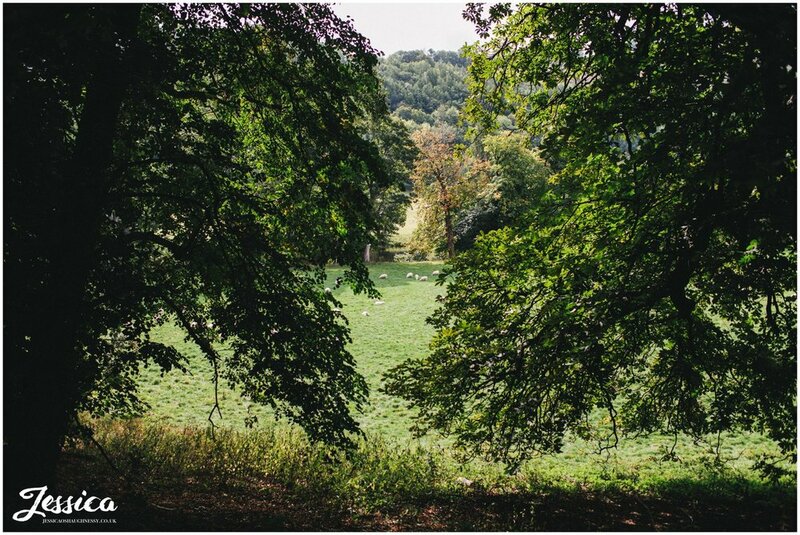 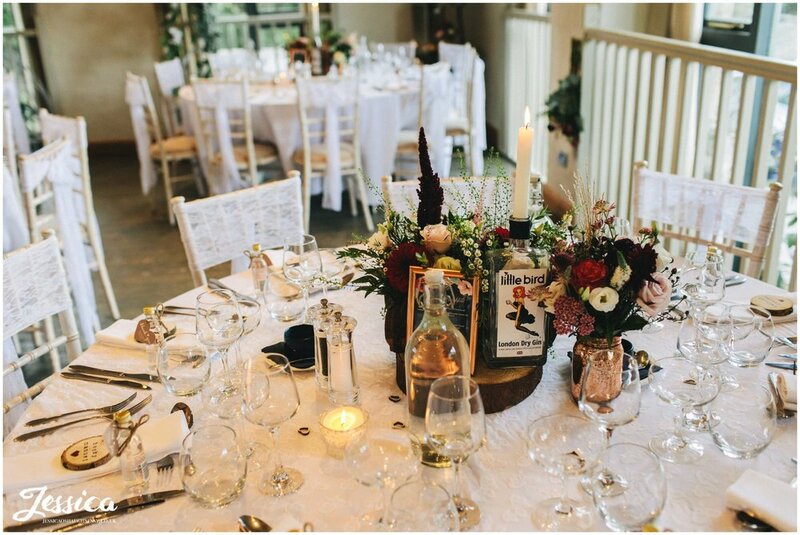 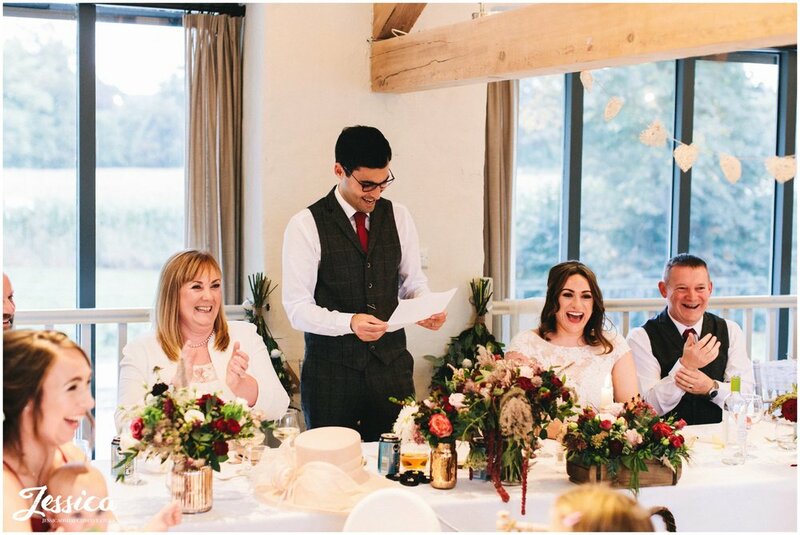 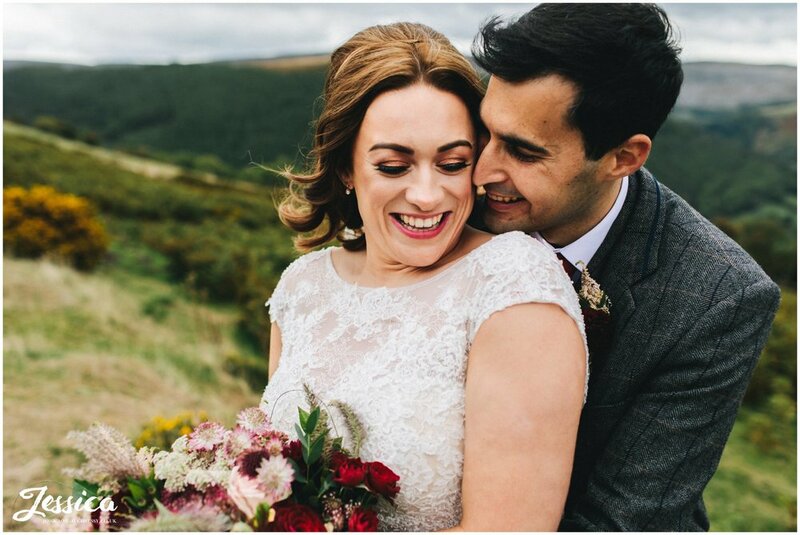 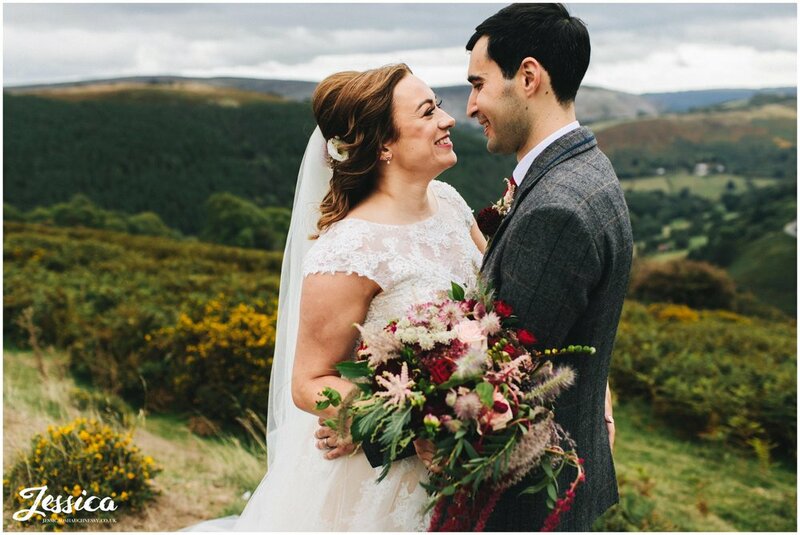 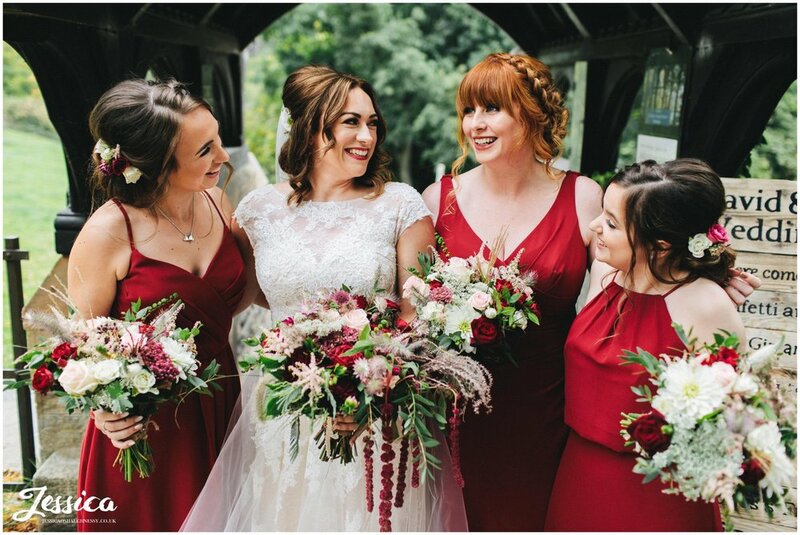 After the intimate service came to an end and the pair were declared Husband & Wife, it was time to head over to the North Wales wedding venue, Llanrhaeadr Springs to carry on the celebrations. 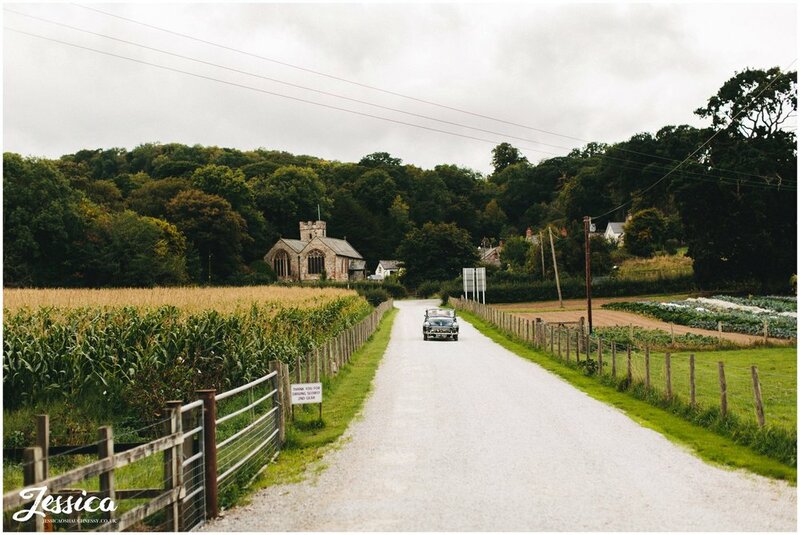 The newly wed’s headed over in the vintage car as I followed behind so we could pull over in a lay by en route and make the most of the beautiful Welsh scenery.